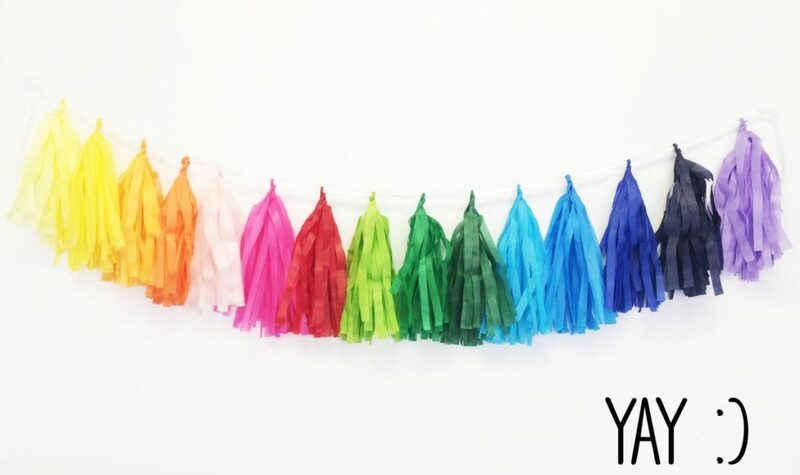 Low on cash but want to spice up your room in a fun way? 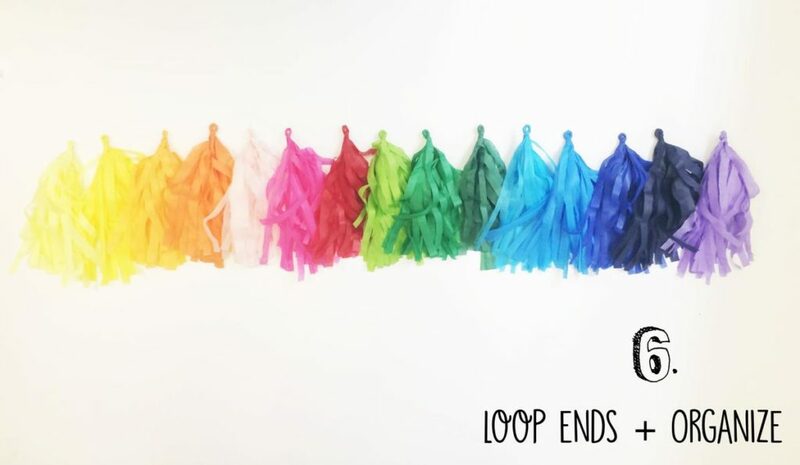 We've got the perfect, easy DIY project for you. 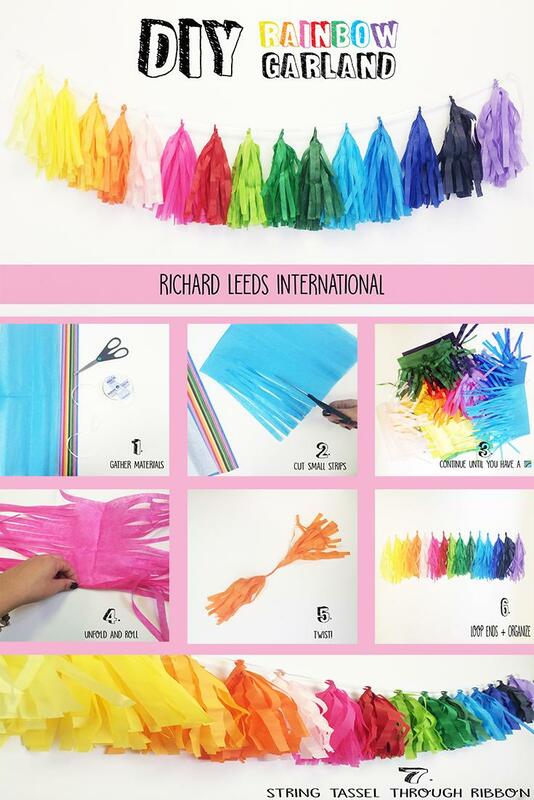 Read on to learn how to make a rainbow tassel garland to add color and whimsy to any boring walls. 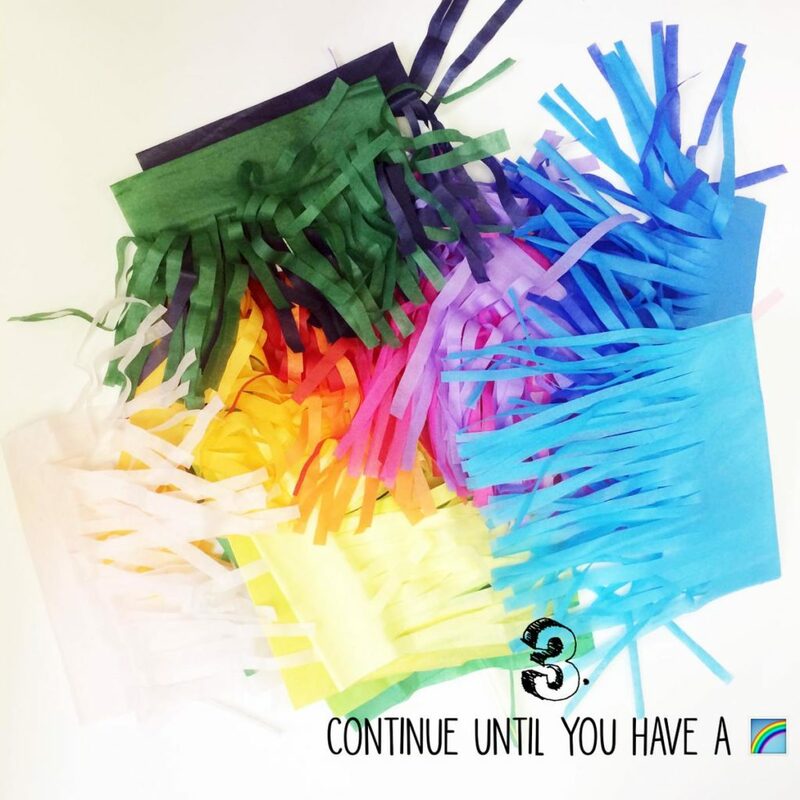 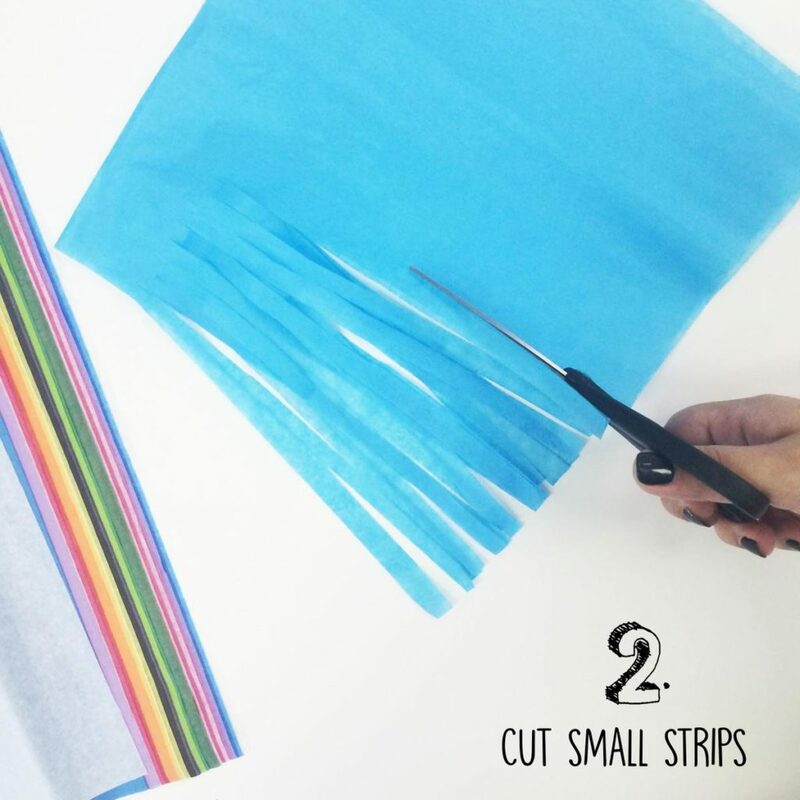 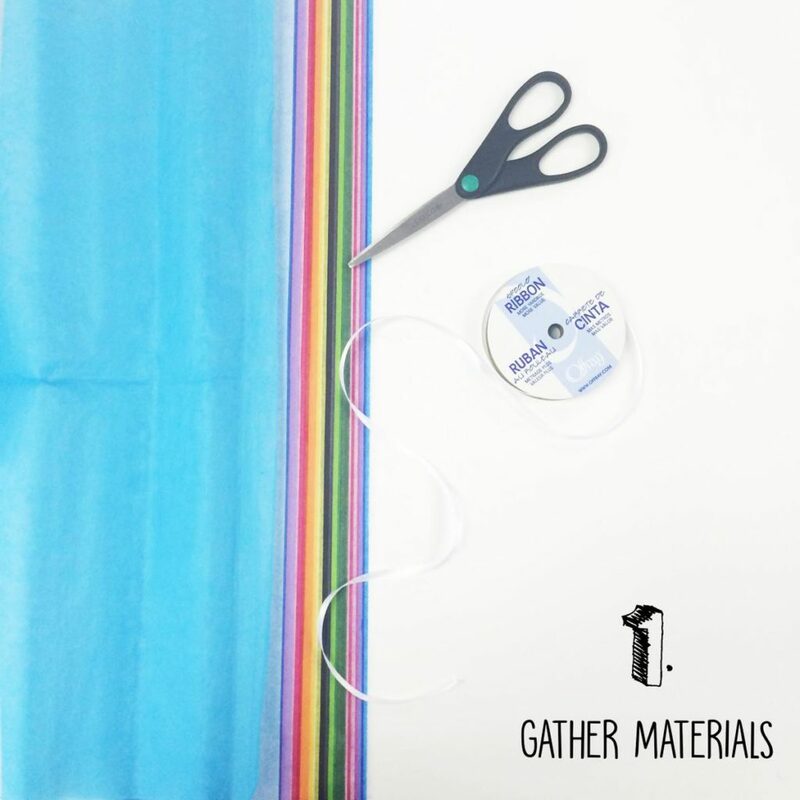 Continue cutting the tissue paper until you have all the desired colors you like. 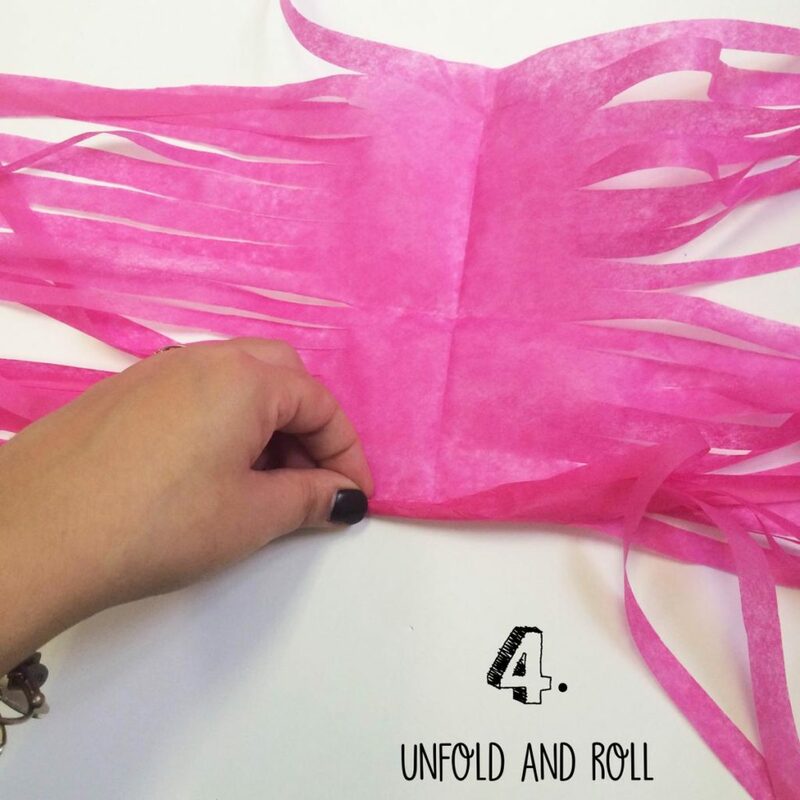 This is the most time consuming part of the project-- it gets easier from here! 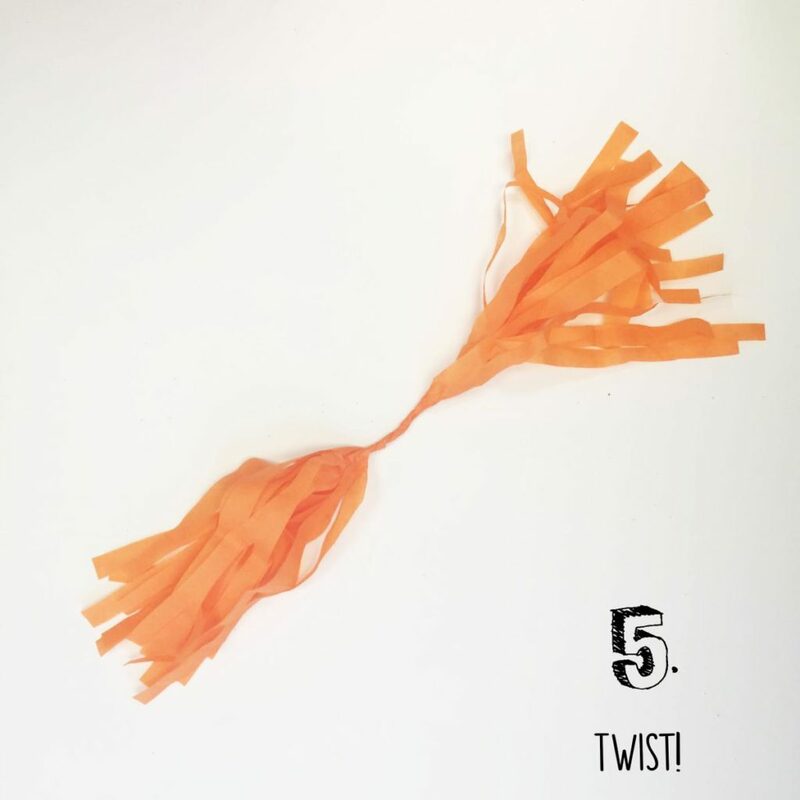 Take the twisted section and form a loop so both sides of the tassel come together. 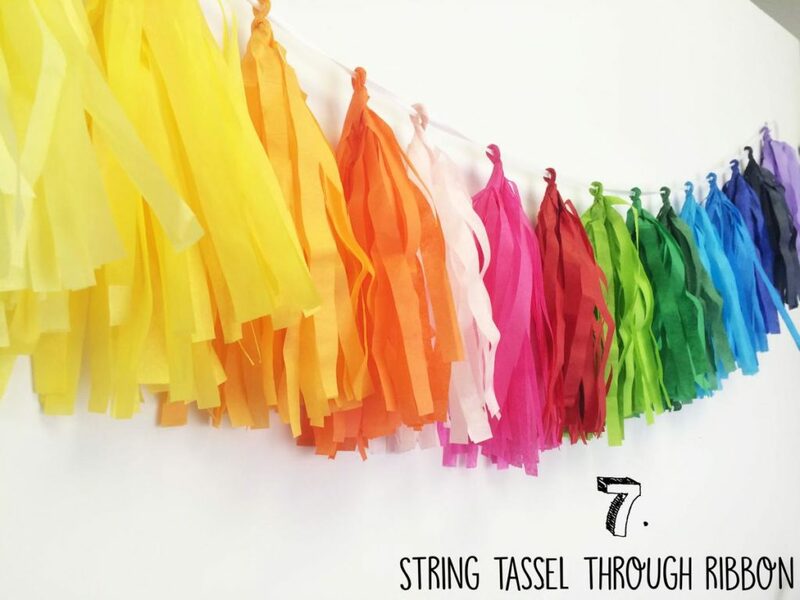 Organize the tassels in the order you'd like them to hang.